PR by It’s A Promo Thing. 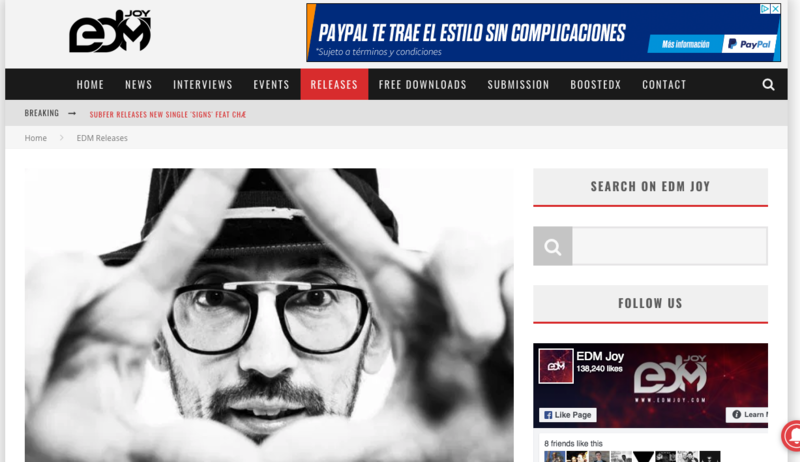 The wonderful people over at EDM Joy have supported the brand new single from Wlady & T.N.Y. feat Iossa – Beatrice on Sony Music Italy/Ministry Of Sound across all of there socials (website, Instagram, Facebook and more). Some Back dated Music Pr we managed to secure. Breaks review in Mixmag 7/10. Spotify playlist alert /// the wonderful people over at Future House Cloud have added ‘Dex – Sundown’ on Ninja Music to their Club Mix playlist. Big love to the people over at The Drunken Coconut for their Music Review. Some lovely words in the Music Review from The Drunken Coconut Instragram. @thedrunkencoconut The Cube Guys drop their own anthem for Miami WMC17. It’s a big one. Can you spot the sample? Are you a real trainspotter. Supported by Fatboy Slim, Robbie Rivera, Bob Sinclair and many many more.